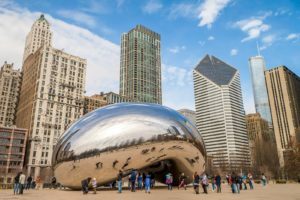 Looking For Things To Do In Chicago? It's Great To Be In the Loop! The near Loop neighborhood is the heart of the city; lined with mesmerizing skyscrapers and beautiful 19th century buildings. It is bustling with businesses, restaurants, shopping, parks and museums that any local and tourist alike will enjoy. Artwork and sculptures from Picasso, Míro and Chagall are placed along the streets and in plazas. The plazas are brought to life in the summer with concerts and farmers markets. This neighborhood is also Chicago’s central business district, making it an ideal place to rent for anyone looking for a nearly non-existent commute. The Loop features some of the city’s best tours and sightseeing offered in Chicago. Head to the top of the Willis Tower onto the Skydeck to get incredible panoramic views of the entire city. Take an incredible picture in the glass boxes positioned over the busy streets below. Be sure to check out The Art Institute of Chicago’s multiple galleries centered on ancient Greece, Japan, Africa and North and South Americas. Situated between the busy downtown and the shores of Lake Michigan are Millennium and Grant Parks. 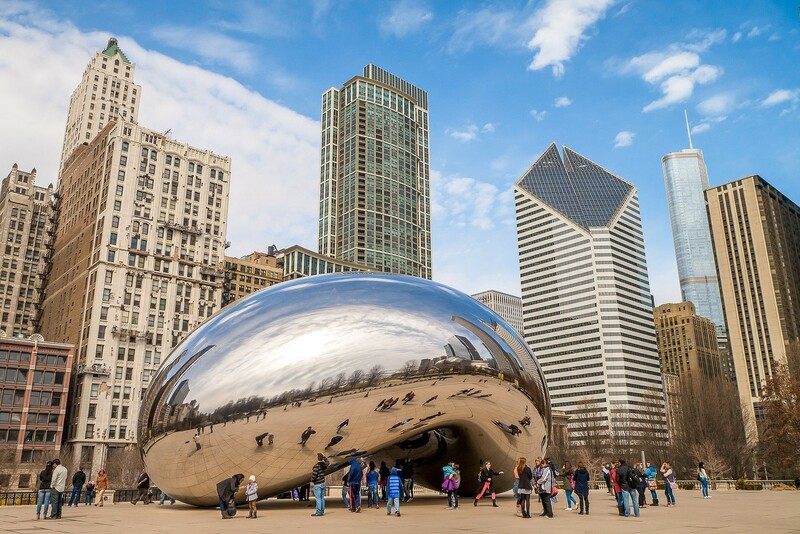 Check out the famous sculpture, Cloud Gate, known more informally as the “Bean”, as well as Buckingham Fountain, and the rock climbing wall in the Maggie Daley Park. Be sure to check out some of Chicago’s biggest theaters. Enjoy Broadway shows like Hamilton or Wicked at the Oriental or Cadillac Palace Theaters or live concerts from the Chicago Theater. In the summer, Millennium Park houses live concerts such as Lollapalooza, and smaller venue names as well. They play movies in the park for locals and tourists alike to enjoy. This neighborhood comes alive in the wintertime with the tree lighting parade, ice skating, and Christkindl Market, Daley Plaza’s German-inspired Holiday Market. For more information on things to do near the Loop, visit the website of Chicago Loop Alliance, the authority on all things happening in the Loop! Be sure to check out The Dearborn, an upscale, stylish atmosphere serving delicious American food with market-driven eats, oysters, and creative cocktails. Dive into the best-known Chicago deep-dish pizzas at Giordano’s or Lou Malnati’s Pizzeria to see what the hype is really all about. For a classic, Italian fare, check into Trattoria No. 10 for comfort food in a cozy below ground setting. For stunning city and lake views, get to the top floor of Cindy’s; a stylish rooftop lounge at the Chicago Athletic Association overlooking the beautiful Millennium Park. Enjoy a cocktail while taking in some of the best views of the city. Looking for luxury apartments for rent near the Loop? Contact us today! We’d be happy to keep you in the Loop!